National Disaster Management Authority, abbreviated as NDMA, is an agency of the Ministry of Home Affairs whose primary purpose is to coordinate response to natural or man-made disasters and for capacity-building in disaster resiliency and crisis response. Applicants who have completed Master Degree or equivalent from a recognized Institute for NDMA Recruitment 2019. 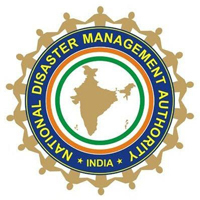 Eligible & Interested candidates can Download Notification From Official website page at www.ndma.gov.in NDMA Recruitment 2019.